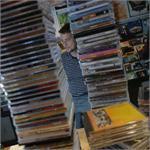 50 Mixed DVD Collection - Almost Sold Out! 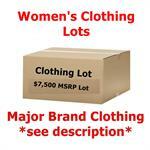 You will receive 2 large 60lb+- box stuffed full of customer returned Men's and Women's clothing. The mass majority of the clothing was returned because it didn't fit or because they simply changed their mind. You will receive 5 large 60lb+- box stuffed full of customer returned Men's and Women's clothing. The mass majority of the clothing was returned because it didn't fit or because they simply changed their mind. You will receive 5 large 60lb+- box stuffed full of customer returned Women's clothing. The mass majority of the clothing was returned because it didn't fit or because they simply changed their mind. 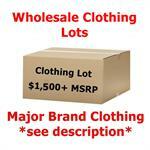 You will receive at least 1-ton (2,000lbs) of customer returned Men's and Women's clothing. The mass majority of the clothing was returned because it didn't fit or because they simply changed their mind.